New York : Berkley Pub. Corp. : Distributed By Putnam, 1976. Eighth Edition. Fine cloth copy in a good if somewhat edge-torn and dust-dulled dw, now mylar-sleeved. Remains particularly and surprisingly well-preserved overall; tight, bright, clean and strong. ; 444 pages; Description: 444 p. ; 22 cm. 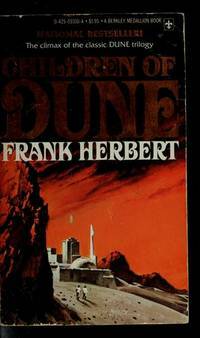 Subjects: Dune (Imaginary place) --Fiction. Form/Genre: Science fiction..